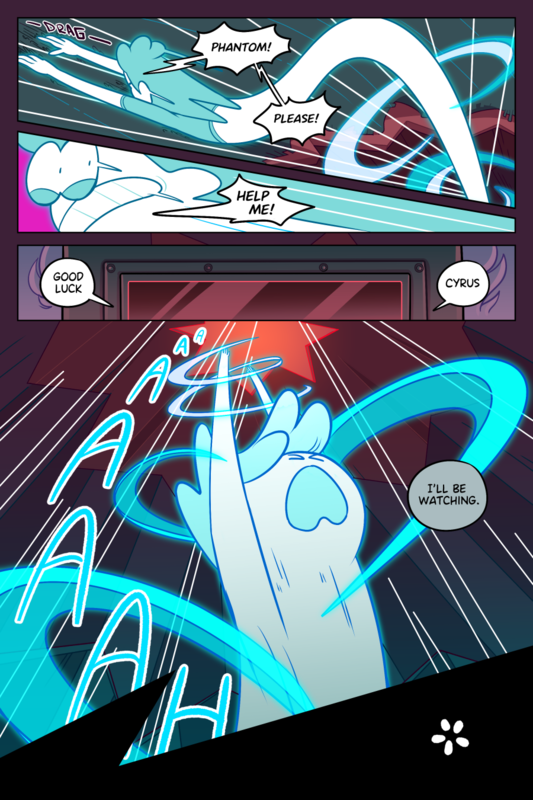 And with that ominous farewell ends the adventures of Cyrus's spirit outside his body. What do you guys think of the Phantom? If you want to read more about him, I recently made him a Toyhouse page. If there's anything you need to know from that page, it's that the Phantom came to me in a dream-inside-a-dream-inside-a-dream that I had many years back. It was a true Inception moment.